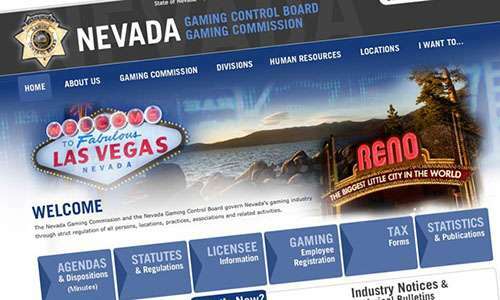 Nevada Gaming Commission regulators are looking into the first known allegations of usage of a HUD (Heads-Up Display) on one of the state’s regulated online poker sites, WSOP.com Nevada. 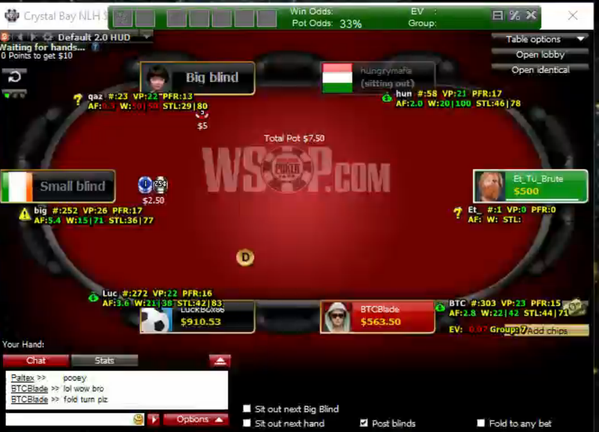 The probable investigation, not confirmed due to state regulatory rules, follows the emergence of evidence in late November that one of the site’s players had been using a HUD on WSOP.com in Nevada in an alleged violation of state regulations that forbid players from using such computer aids on state-authorized the sites. The incident involves a Nevada-based online poker player, “BTCBLADE”, who was exposed as having allegedly used a HUD while playing on WSOP.com in November. According to several online sources and links, BTCBLADE appears to be Tommy Chen, a Nevada player with considerable success both live and online. A minor furor arose just prior to the US’s Thanksgiving holiday when fellow Nevada player Randy Dorfman posted a pointed query addressed to WSOP.com officials about Chen’s possible use of a HUD on that site. @RandyDorfman @WSOPcom We’ve been in contact with the player since then. If you see him using HUDs on WSOPcom now, please let us know. @RandyDorfman @Kevmath Given the scenario, we felt that was the appropriate action. You can disagree. @RandyDorfman @Kevmath Randy, we decided to warn. Again, you’re free to disagree. Left as the final word, that exchange would have left a lot of readers and Nevada-based online poker players dissatisfied, out of concerns that WSOP.com wasn’t being as diligent as advertised in pursuing customers who were using third-party software assists not only in violation of the site’s T&C’s, but also in violation of Nevada gambling statutes. There is also some question as to whether the phrase “at a licensed gaming establishment” might provide a loophole, except that WSOP.com’s own T&C makes it clear that any third-party software aids are forbidden by the site, and that the site’s officials believe that NRS 465.075 prohibits the use of such aids. 7.3 Software Aids: The use of any automated tool which in the Company’s opinion is designed among other things to provide assistance in betting decisions, to exchange the opponents’ hand histories, to enable You to find a seat at a poker table, to automatically seat You at a poker table or which is used in any way in connection with Your use of the Services is strictly prohibited. Therefore, the use of any software, program or robot which in the Company’s opinion is endowed with artificial intelligence or any external devices, programs or applications (hereinafter referred to as ” Software Aid”) in connection with Your use of the Services is strictly prohibited. We constantly review the use of the Services in order to detect the use of any Software Aid and in the event that We deem it has been used, Company reserves the right to take any action We deem fit, including immediately blocking access to the Services to the offending user and terminating such user’s account. If Your account is terminated or blocked in such circumstances, the Company is under no obligation to refund You any of the funds that may be in Your account, with such funds being forfeited. In addition to terminating Your access to the Services and/or blocking Your account, the Company reserves the right to prevent You from accessing any of the Company’s other websites or servers, or accessing any other properties or services offered by the Company. All of that would seem to apply to the apparent use of the HUD on the site by Chen, and it’s rumored that he’s not the only one participating in illicit HUD usage, if it indeed occurred. More to the point is that major HUD makers such as Holdem Manager (HM2) and PokerTracker (PT4) do not provide support for the Nevada WSOP.com site. If a HUD is indeed has been used by Chen or others, it also involved screen-scraping and conversion processes using additional software — though that, too, would be in violation of WSOP.com’s T&C’s. The larger, continuing story, however, is that WSOP.com may have had a change of heart regarding its plan of action given a few days’ consideration. If the BTCBLADE videos as posted on Twitch were legit (and they”ve not only since been removed, the entire BTCBLADE Twitch account has been disabled for unspecified “terms of service violations,” then WSOP.com officials may have had no choice but to forward the incident on to the NGC for further review. The decision to step aside and let state gaming regulators handle the possible illicit HUD use, if this has indeed occurred, likely represents the wisest course of action. Chen might face forfeiture and confiscation of his existing WSOP.com bankroll if the allegations against him are proven out by a Nevada Gaming Commission review. It indeed appears that it took several days for WSOP.com officials to reconsider, though it is entirely possible that Chen’s account has now been suspended. Chen’s account participated in WSOP.com tourney play on November 22nd, but has not been seen on the site since. However, the penalties the state itself could apply are much stiffer. A violation of NRS 465.075 is considered a category B felony and, even for a first offense, can include a prison term of between one and six years and/or a fine of up to $10,000. Whether or not Chen (BTCBLADE) knew that the WSOP.com site forbids the use of HUDS and other third-party software aids is another topic that has already come up for debate. However, a player of Chen’s experience arguably should have known this amid Nevada’s limited online-poker scene, and, as the old saw goes, ignorance is no defense. The incident has also reignited debate over how effectively the use of third-party software assists can be policed by prohibiting sites — in particular “home grown” aids created and used by computer-savvy players, as Chen’s own online resumes prove him to be. Unfortunately for Chen, if the allegations are true, he may well prove to be the example if the NGC decides to create one from the incident, as a means of protecting and enforcing its own rules.